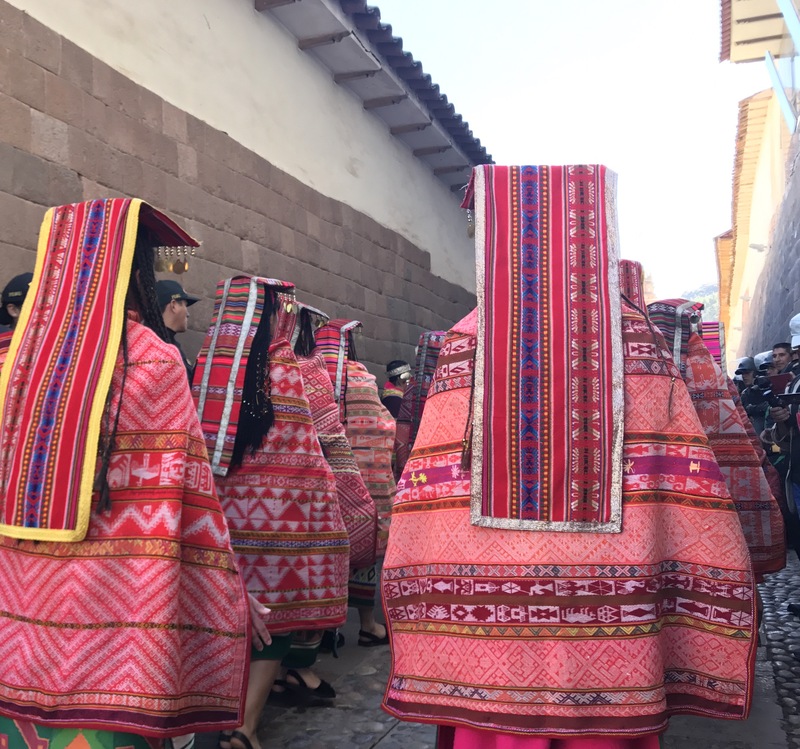 Almost two weeks ago, Cusco’s biggest celebration of the year took place and we were there to experience it for the first time. 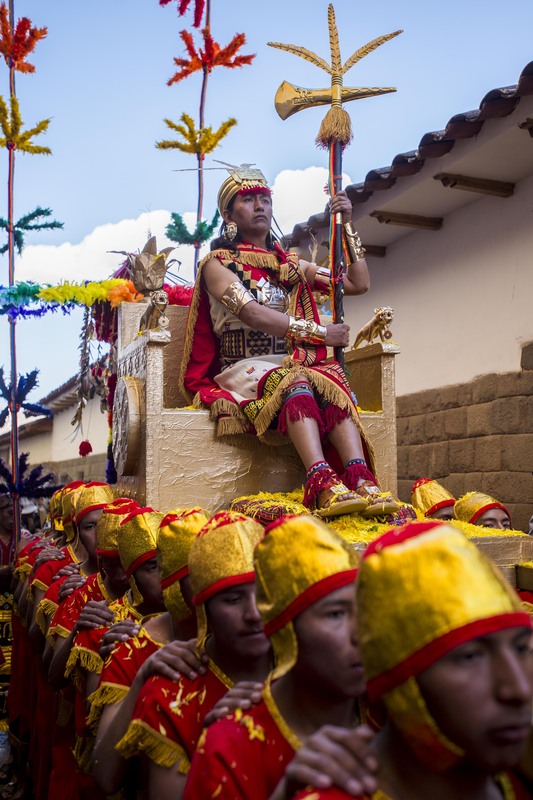 Every year on June 24th, the streets of Cusco City are flooded with visitors from all over Peru and the World to celebrate a transcendental date for the Andean world: Inti Raymi – Festival of the Sun God. This celebration was kept clandestine during centuries as Spanish Conquistadors who considered this a pagan ritual, banned it. 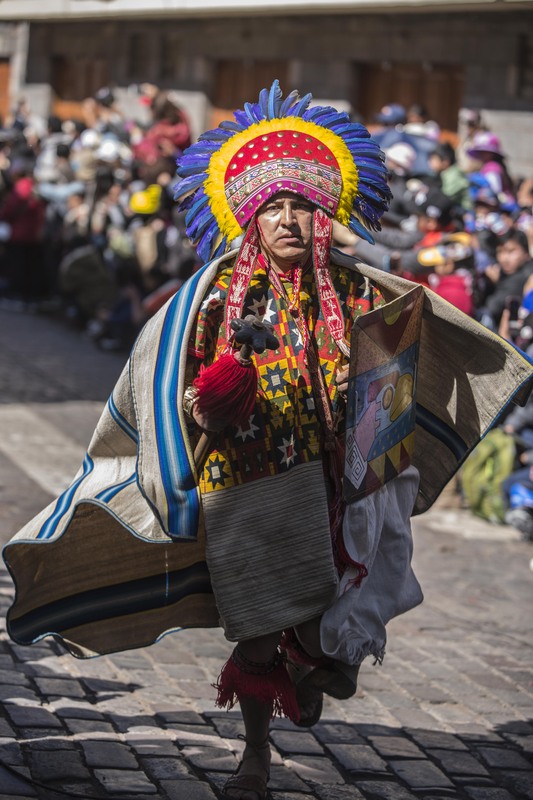 Only in 1944 was Inti Raymi legally reinstated, to uplift the pride of local culture and promote tourism. We arrived at Qoricancha at 8:00am and it was already too late to get a good view. 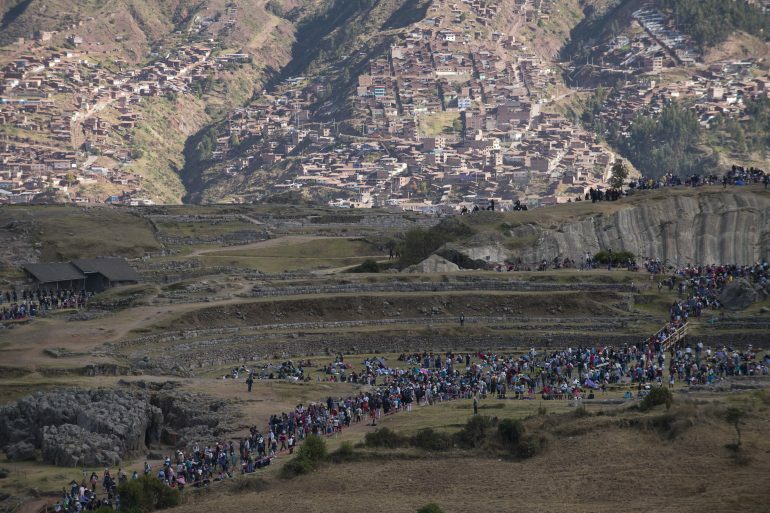 In the early morning, thousands of people gather around the Temple of the Sun awaiting the procession and the Inca. To have a view of this first event one must arrive early to save a spot until the action begins, or rent a stool for S/.10 ($3) to stand on and hope for a decent view. 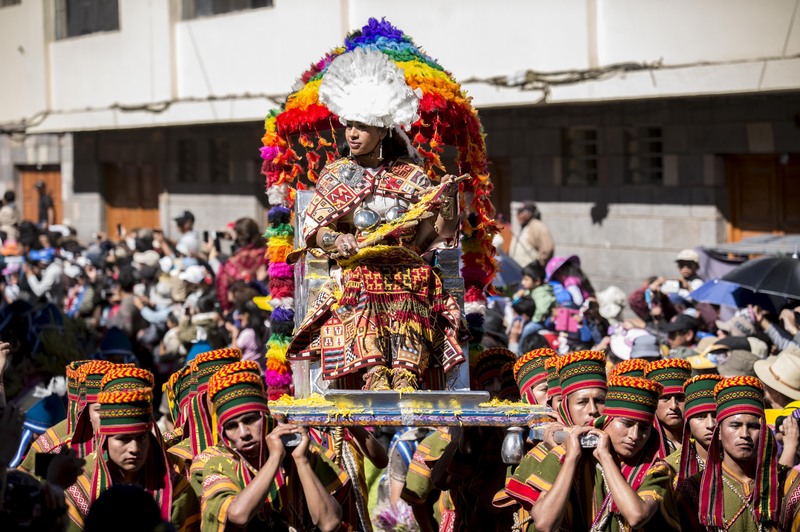 After the ritual ceremony on the lawn of Qoricancha, the Inca is transported on a carriage lifted by others. 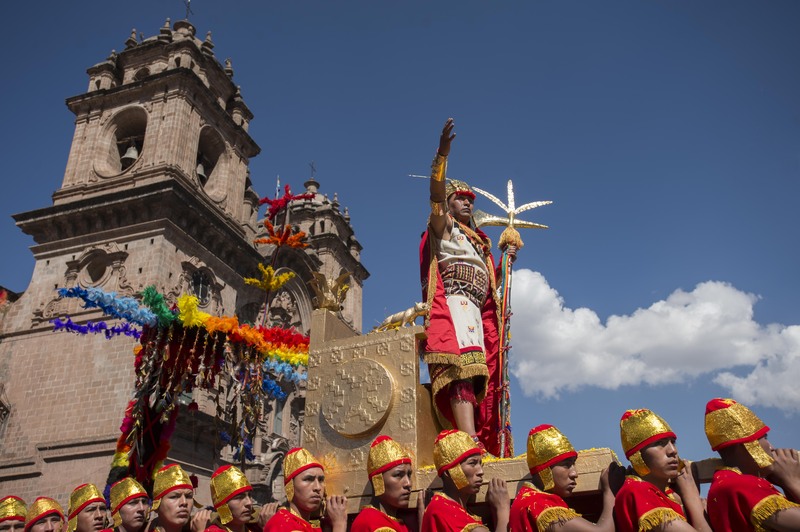 This religious-like procession passes through a landscape of syncretic architecture; full of Spanish-looking structures that were built upon Inca rock constructions. 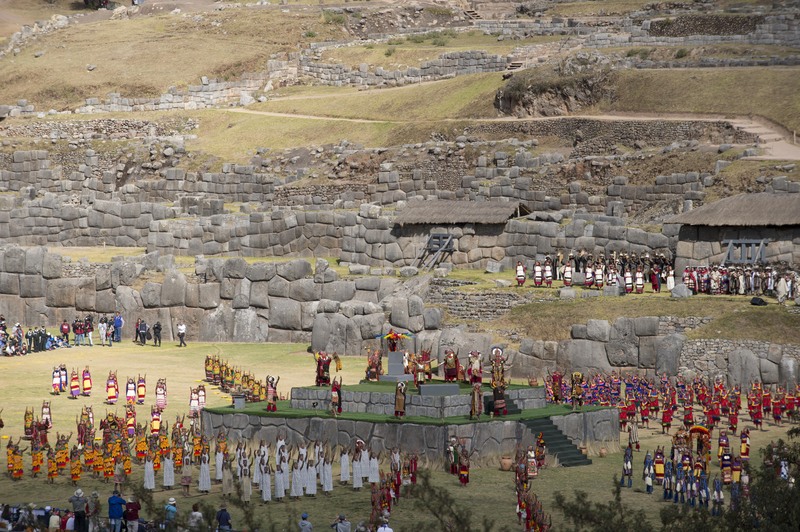 The deployment of the Inca and his entourage evokes all sorts of emotions to the spectators. The recreation feels real, everyone is in character and the fierceness and cultural pride are palpable. 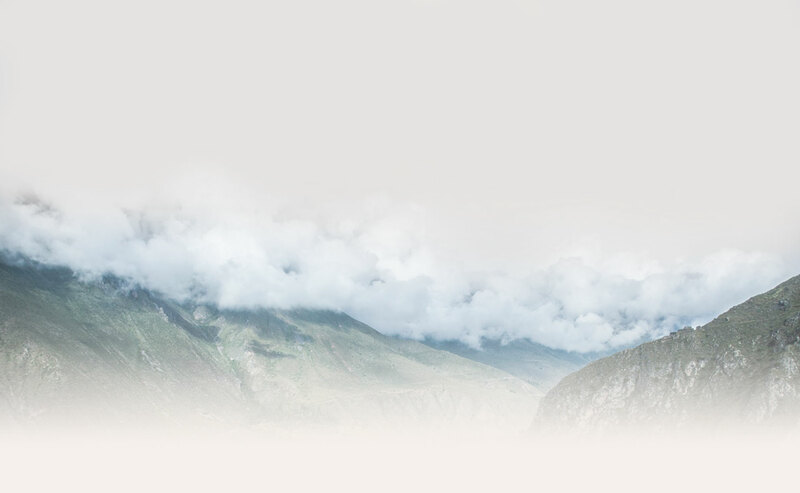 This is where the representatives of the four “suyos” (regions) of the Inca Empire’s “Tawantinsuyo” (four regions) would convene to show and share their latest innovations and inventions, and reaffirm their loyalty to the Inca. 3. Sacsayhuaman – One’s of Cusco’s most well-known archeological sites, famous for its construction with impressively large rocks. The sun shines brightly righteously on its day. Thousands of people, including us, have dropped sweat on the hike up to Sacsayhuaman, on a pilgrimage to witness the final event of the day. The impeccable organization, clothing and artifacts help to forget that this production is happening in the year 2017. Only when we look around and see a crowd of spectators, taking photos and videos with their phones sitting on the hills surrounding the impressive fortress, or smell the aroma of the typical dishes and treats, do we come back to the present and realize this is all a recreation of what we believe was once the most grandiose celebration of the Inca Empire.